From the memories of everyday experience, Living Atlanta vividly recreates life in the city during the three decades from World War I through World War II―a period in which a small, regional capital became a center of industry, education, finance, commerce, and travel. 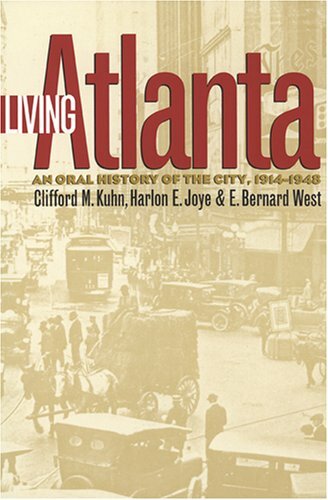 This profusely illustrated volume draws on nearly two hundred interviews with Atlanta residents who recall, in their own words, “the way it was”―from segregated streetcars to college fraternity parties, from moonshine peddling to visiting performances by the Metropolitan Opera, from the growth of neighborhoods to religious revivals. Organizing the book around such topics as transportation, health and religion, education, leisure, and politics, the authors provide a narrative commentary that places the diverse remembrances in social and historical context. Resurfacing throughout the book as a central theme are the memories of Jim Crow and the peculiarities of black-white relations. 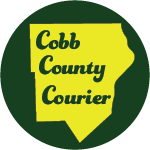 Accounts of Klan rallies, job and housing discrimination, and poll taxes are here, along with stories about the Commission on Interracial Cooperation, early black forays into local politics, and the role of the city’s black colleges. Martin Luther King, Sr., historian Clarence Bacote, former police chief Herbert Jenkins, educator Benjamin Mays, and sociologist Arthur Raper are among those whose recollections are gathered here, but the majority of the voices are those of ordinary Atlantans, men and women who in these pages relive day-to-day experiences of a half-century ago.